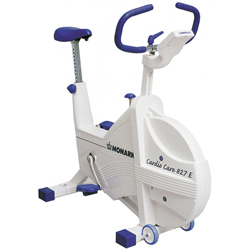 The 827E Fitness Cycle has a new softer design, a completely housed flywheel and strengthened frame. 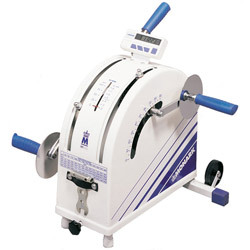 The 828E Fitness Cycle has a new softer design, a completely housed flywheel and strengthened frame. 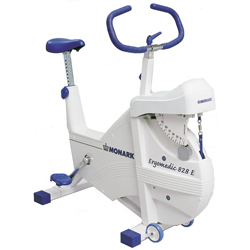 Monark Rehab Trainer 881E can be used as either a leg or arm ergometer. 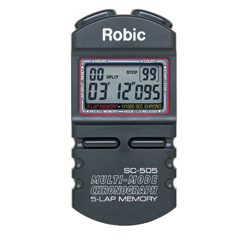 It is suitable for use either in the home or in hospitals.